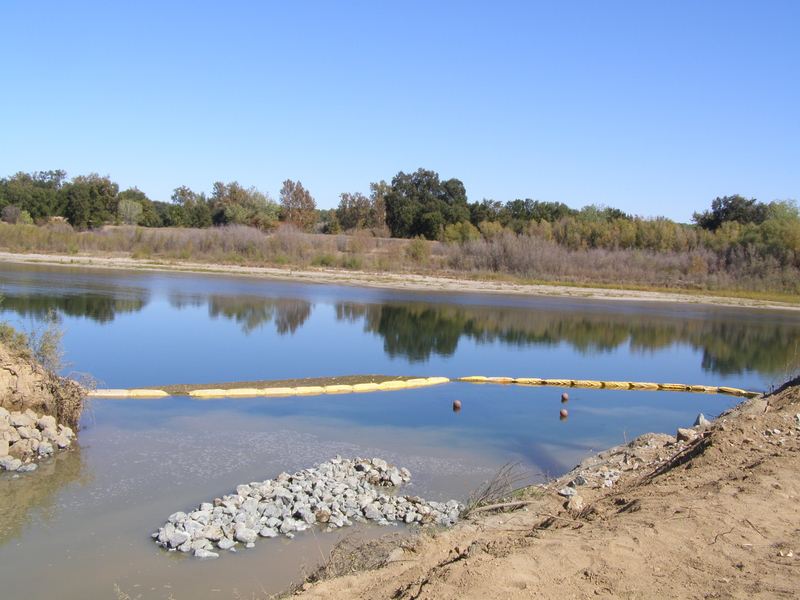 The Feather Water District’s (FWD) North and South Diversions, located on the Feather River in Sutter County, completed construction of barriers and fish screen systems on both diversion in the fall of 2014. 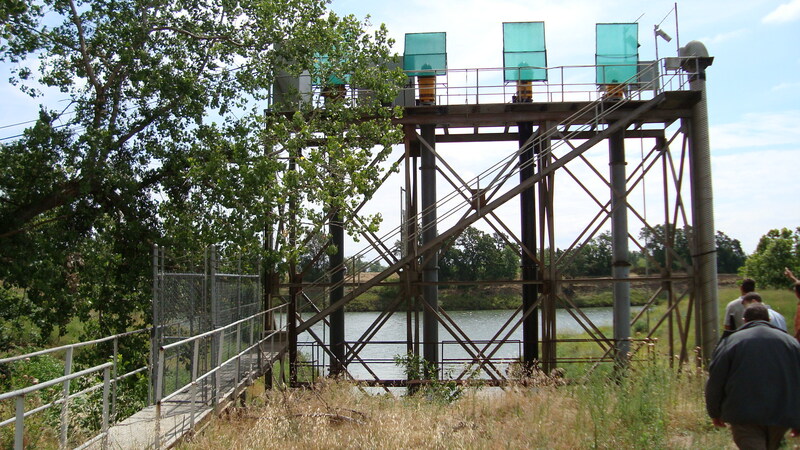 The north diversion is a 78 cubic feet per second (cfs) vertical pumping station at the end of a intake channel off of the main stem Feather River. 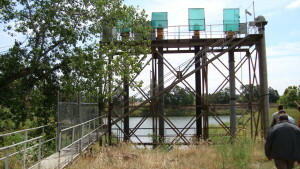 The south diversion is a vertical pump station located at the end of a dog leg channel of the main stem with a combined total of 40.11 cfs. Both diversions were screened using the Intake Screens, Inc. (ISI) cone screen system, while the barrier work was installed by Anderson Dragline. Conductor pipe and screen base before installing in intake channel. 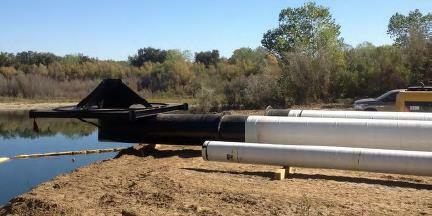 Installation of a conductor pipe from diversion to screen that runs under the barriers. Panoramic picture of the pipe and screen base being installed in the intake channel. 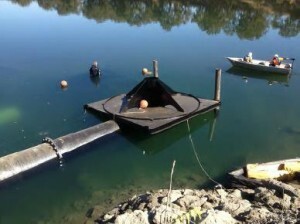 Screen base mounted in main stem of the river. 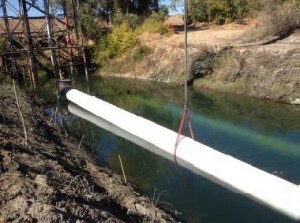 Installation of the barrier at the opening of the channels . Funding for both Feather Water District was provided by grants from the Ecosystem Restoration Program (ERP), administered by the California Dept. 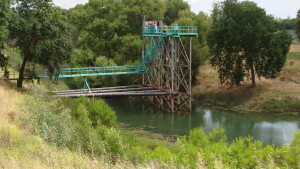 of Fish and Wildlife, CVPIA Anadromous Fish Screen Program (AFSP), administered by the Bureau of Reclamation, and the Feather Water District.